We provide solutions to your lock problems with our modern systems and our answers to your questions. Learn how to choose the right locks for your house, what the ANSI standard is and how you can take care of your keys. Can I choose the right lock for my home? Yes. 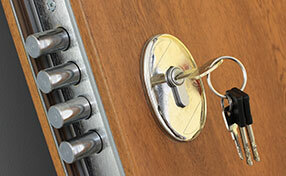 When choosing keys and locks, purchase keys that cannot be easily duplicated or broken. Select locks which are not easily breached, cracked or manipulated; there are inferior brands available in the market today which may save you money but will give you the least protection. It is always helpful to call our locksmith services for assistance. If you are having issues with your locks and keys, Contact Locksmith National City for further help. What exactly is a duplicate key? Duplicate keys protect you from being locked out of your house, car, or business establishment. A duplicate key is an extra spare copy of a key. As further security measure, you can get your duplicate key duplicated through our locksmith services. Never leave a duplicate key to obvious places like under the welcome mat or on top of the door pavement. How do I protect my keys? Have duplicates of all significant keys and keep them in convenient places. The experts of our locksmith in National City suggest keeping them away from kids and keeping an extra one in your bag. Don't throw them in a drawer but tag them to know which key belongs to which door. Key change is necessary before they rust. The American National Standards Institute has a grading system for all locks. They test the strengths and resistance of different security door locks and classify them accordingly. This grading system can help consumers choose better, say the experts at Locksmith National City. Grade 1 classification includes the best locks and the rest fall in the category of Grade 2 or 3. Why must bolts be inserted deeply in strike holes? If the latch doesn't enter the hole at the strike plate fully, someone may use a card to open the door. The door could be kicked open easily. It's like having the door unlocked. The latch bolt must extend at least 3 inches.